Here's my design for Hire Help. If you have any comments, please feel free to share them. 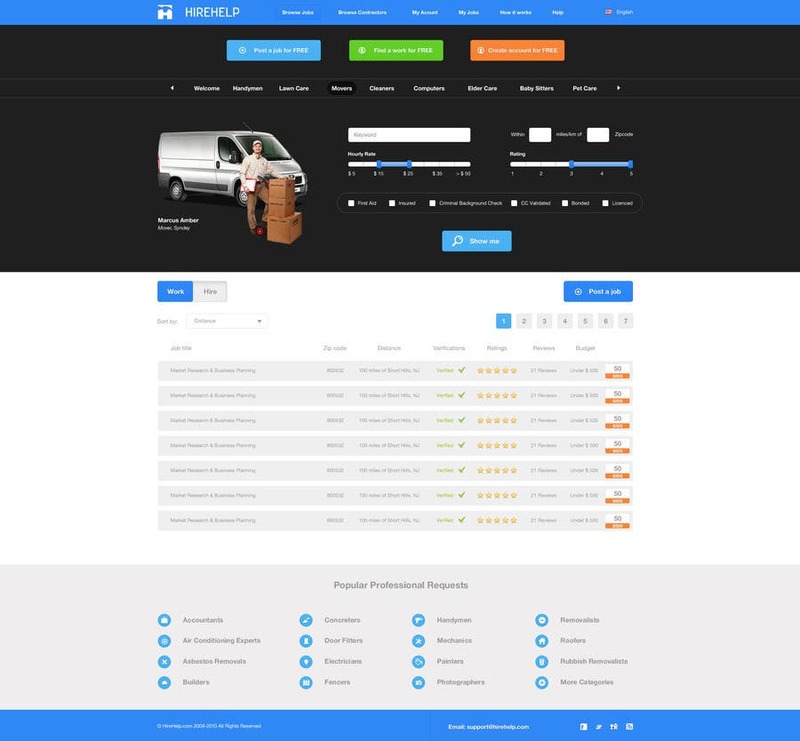 please show me the top part of the desing NOT using black background but lighter background and larger impact image underneath the search section but blurred and slightly darkened so search is visible, and maybe the focal part of the image not blurred, like where you have the delivery driver and van now. I like the simple design though. Also, show one of the items in the list expanded so we see what the details can look like. Also we would like a search result page submitted from you as you have made our final round of designs to evaluate. make sure to include filters on the search page, and for contractors, show star ratings if they are verified, how many reviews they and even include part of a review with link to view more.